When Are Canadian Corporate Taxes Due If Owed? When Are Canadian Corporate Taxes Due If There Is a Balance Owed? If the corporation has a balance owing on its corporate income tax, in most cases, the tax balance must be paid within two months after the end of the tax year. Note that you must file a corporate tax return every year whether or not there are taxes owing. the total of the taxable incomes of all the associated corporations for their last tax year ending in the previous calendar year does not exceed the total of their business limits for those tax years (if the corporation is associated with any other corporation during the tax year). The maximum allowable business limit for a corporation that is not associated with any other corporation is $500,000 if the calendar year is 2009 or later. 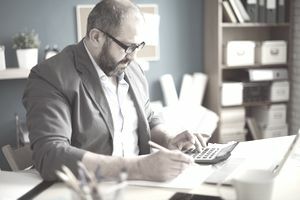 Eligibility for the Small Business Deduction is also affected by the amount of the corporation's taxable capital employed in Canada (see the CRA's Taxable Capital Employed in Canada schedule). Taxable capital includes corporation stock, bonds, dividends, retained earnings, etc. The Small Business Deduction of $500,000 starts declining on a sliding scale when a CCPC's taxable capital reaches $10 million and goes to zero at $15 million (e.g. the corporation is no longer classified as a small business for tax purposes). If your net corporate tax owing for the previous year is greater than $3000 you will need to pay corporate tax by installments. Installment payments are made monthly (or quarterly in the case of an eligible CCPC). Installment payment amounts are computed by dividing either the tax payable for the current year or the tax paid in the previous year by twelve for monthly payments or by three for quarterly payments. Note that you do not have to begin making installment payments until the second year of operation of your corporation. When you submit your tax return at the end of the year the actual amount of tax due minus what you have paid in installments determines whether you have a balance owing or a refund due. As well as the federal tax each province charges corporate income tax — the rates vary from province to province (see the CRA's Corporation tax rates for a list of the federal and provincial tax rates). With the exception of Quebec and Alberta, provincial corporate taxes are administered jointly with the CRA and included in your corporate tax return so you do not need to file a separate provincial corporate tax return. If for example, your corporation had a permanent establishment in British Columbia your corporate return would include a British Columbia Corporation Tax Calculation form. Because Alberta and Quebec administer their own corporate tax collection, you must file separate provincial corporate tax returns if your business is established in either of these two provinces. For Alberta: See the Corporate Income Tax section of the Treasury Board and Finance website for the appropriate forms. Installment payment requirements and deadlines are similar to the CRA requirements. For Quebec: Visit the Corporate Income Tax Return section of the Revenue Quebec website for corporate tax return forms and information (available only in French). CRA: Are you eligible to make quarterly installment payments?